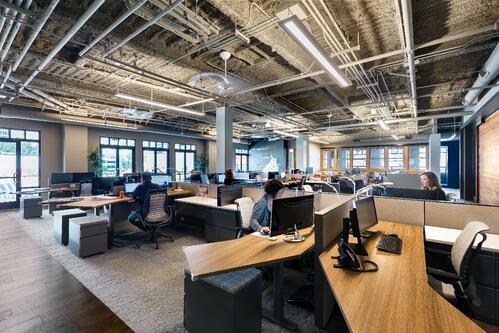 Headlines are once again proclaiming the death of open offices, after the July release of a damning new study by a team of Harvard University researchers. 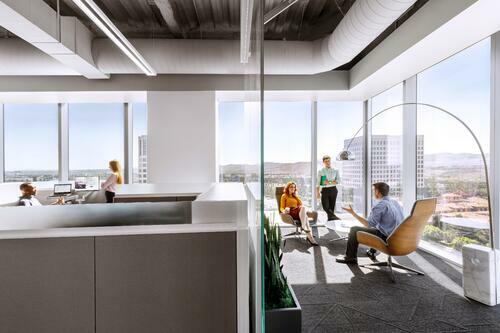 Billed by Fast Company as the “final nail in the coffin of open plan offices,” the study of two Fortune 500 companies found face-to-face interactions plummeted by more than 70 percent after a switch to an open office design. Instead of increasing personal collaboration, e-mail use shot up and productivity fell. This may sound like old news. 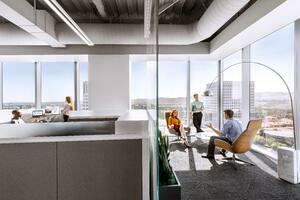 Open office designs have been criticized almost from the moment the first cubicle walls came down. It is widely understood that if you cram employees into a wall-less, window-less, sterile environment with no ventilation or privacy, it’s not going to increase productivity. It’s time to move the discussion forward. A large volume of research is available illustrating how a data-driven approach can lead to a better work environment, whether you want to call it an “open” design or not. And that process must start with a laser focus on how and why people are using the space. “The design should be driven by what the employees are doing and who they are, not a boilerplate ‘open’ concept,” says Dr. Julie Zoellin Cramer, a learning experience strategist who works with LPA to connect research with clients’ goals. The problem is not the basic premise of an open office, it’s how the concept is executed as a cookie-cutter model. It’s not really clear what “open office” means anymore, designers say. In many ways, there was a clear over-reaction when open space designs swung back to popularity 10 years ago. Open designs were primarily seen as a way to quickly cut costs, with the possibility of more interaction viewed as an added benefit. From 2010 to 2017, the average square foot per worker plummeted from 225 square feet per worker to closer to 150 square feet, according to CoreNet Global, the commercial real estate industry association. Several studies over the years have found the increased number of employees in a space comes with a cost. People are often distracted, irritated and less productive. People put on headphones and retreat instead of working together. The well-publicized Harvard study has been described as the first to attempt to objectively measure how people actually interact in open offices. Researchers Ethan Bernstein and Stephen Turban wired up employees with infrared sensors and microphones to measure face-to-face encounters and conversations. The raw data showed an average of 5.8 hours a day of “face-to-face” time fell to 1.7 hours a day after the redesign to an open office. “Consistent with the fundamental human desire for privacy and prior evidence that privacy may increase productivity, when office architecture makes everyone more observable or ‘transparent,’ it can dampen [face-to-face] interaction,” the researchers concluded. There are three basic types of collaboration, Cramer says: teamwork, “beamwork” and dreamwork. Many designs create spaces for traditional team meetings, but ignore the need for spaces for “beamwork,” defined as laser-focused individual activity on a specific team project, and dreamwork, which is the need for time spent on exploration and creativity. People follow basic human needs as they use space, research shows. And there are ramifications when designers get it wrong. Studies have illustrated the serious consequences to open offices that don’t address the needs of the employees, says Kimari Phillips, Senior Research Analyst for LPAred, LPA’s in-house research department. “In the long term, without appropriate design and organizational measures, the costs can include heightened stress response, employees calling in sick, and reduced cognitive performance and productivity when they’re at work,” Phillips says. LPA regularly conducts post-occupancy evaluations (POE)of office designs, taking a close look at what works and what doesn’t. One basic conclusion: the design process must begin by involving a wide spectrum of people in the discussion, especially staffers who will be using space. “We’ve learned from the POE, you need to have the right people at the table who represent a cross-section of the different tasks and roles,” Phillips says. Open offices show better results when they are activity-based designs, with zones and areas based on specific tasks, she says. Huddle rooms, different styles of conferences space, relaxation spots and private areas can all aid the effectiveness of an open layout, data shows. People are fundamentally looking for a sense of autonomy and choice in the work environment, Cramer says. They want the workplace to promote security and personal growth. Too often, designers try to find a compromise between “me” personal space and “we” social and gathering spaces, and end up pleasing no one, Cramer says. 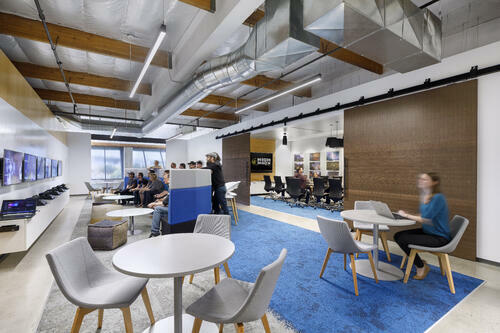 Mraw recently helped develop the office design for LPA’s new headquarters offices in Irvine, providing an opportunity to experience first-hand the design practices employed with clients. The process started with pre-occupancy surveys of the staff, but then moved into different types of discussions, focusing on how spaces were being used and the connections between the office environment and the company’s brand. Employees weren’t asked about meeting rooms and desk styles; questions focused on how spaces could expand the practice and spirit of collaboration. Open styles shouldn’t mean an endless sea of workstations. LPA’s recent design for Mazda’s U.S. headquarters is designed around hubs, including free-address work stations that allow employees to choose their own daily work space. While there are few walls, the office is a collection of different types of open spaces and meeting rooms, reflecting the brand’s connection to creativity and design. Environments that holistically attend to employee needs not only “enhance productivity through increased motivation and engagement, but also support an individual’s sense of personal fulfillment,” Cramer says.